Let me share the latest adventure that I had. Due to my ulnar palsy on my right hand, I sometimes lose the grip on my cane and picking it up when it falls down is a problem when I am out walking in isolated places. I ordered online for a collapsible hikers staff with a wrist strap attached to solve this problem. When the parcel arrived, it was in a semi assembled condition with no manual to explain how to assemble it. Manjiree and Ranjan between the two of them decided to assemble it for me and in the process completely dismantled it and were unable to re-assemble it. Without waiting for them to solve the problem, I went off to see a movie and Ranjan promptly ordered for another one online on the assumption that he had ruined the one ordered by me beyond repair. Ranjan’s colleague Rahul, an amateur Mr. Fix It, came along and has assembled the staff. It is in perfect condition and I now know how to adjust the length too. I enjoyed watching the fun without getting excited or annoyed or upset. Letting the grass grow by itself as it were. The bonus? I will get another staff tomorrow! This entry was posted in Buddhism, Family, Humor, Philosophy and tagged Walking stick, Zen proverbs. Bookmark the permalink. 14 Responses to My New Acquisition/s. Thank you Cathy. The new one ordered by Ranjan is in some ways better as it can also be folded like the sticks that the blind use 🙂 I don’t know why Ranjan ordered that though! That, if I ever go trekking with my younger friends! In wet weather, two sticks are safer on slippery ground. 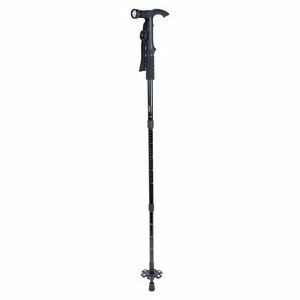 It seems similar the telescopic hiking poles I have and the ferrel at the base can be removed to show a spike suitable for walking on grass, snow or ice! The wrist strap works well so long as you remember to put your hand through it! Have fun. I avoid going out when it is wet weather but the next time it rains, I will certainly try this. Reminds me of Christmas toys – some assembly required – LOL. You have got it pat there Shackman! i once tried to assemble a bakers rack all by myself. a job really for TWO people. i’d stop and cry. yes cry. when i’m mad i cry. but i got the dang thing put together. it was after midnight. congratualations on your marvelous acquisitions! i like that word. it’s fun to say. acquisitions. and letting the grass grow by itself. i’m finally getting just a little better at that too. congratualations is even better than congratulations! more joyous. LOLOL!!! I agree. Particularly when there is a bonus involved like in this instance. 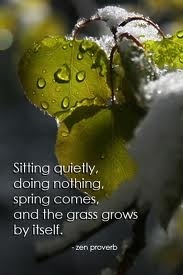 Once you start letting the grass grow by itself you will never be able to stop! Family life would be boring without such adventures. Exactly. The adventure does not stop there Looney. The first time I took the stick out, a small attachment which was a torch light to show key holes in the dark, just fell off without my noticing it and it is now just a big gaping hole! Luckily the rest of the stick is performing the function that it is supposed to.